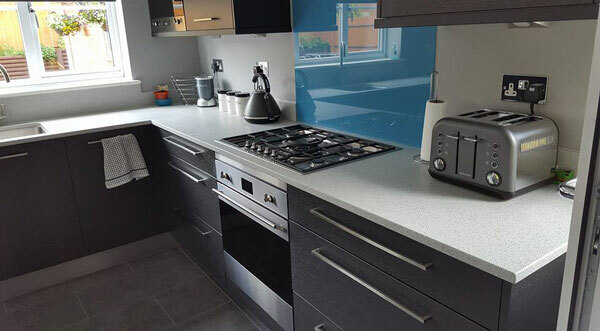 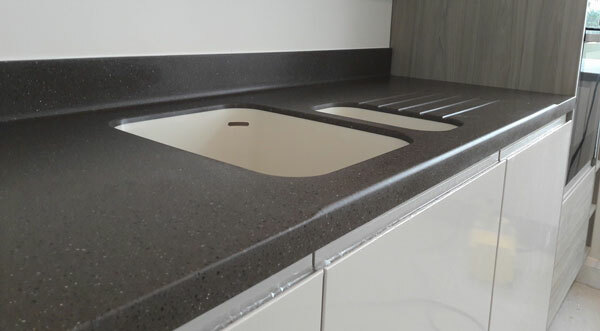 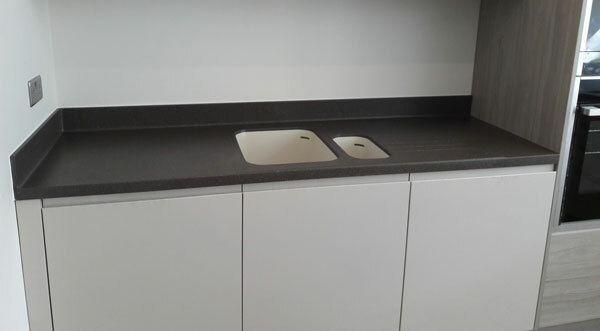 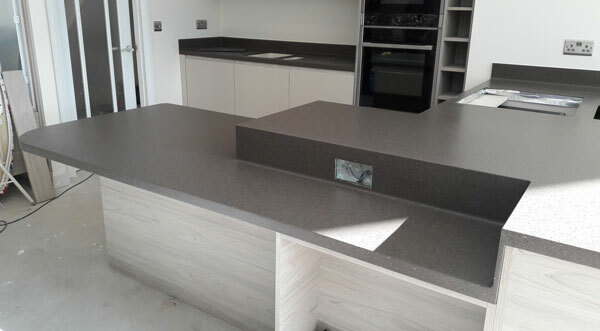 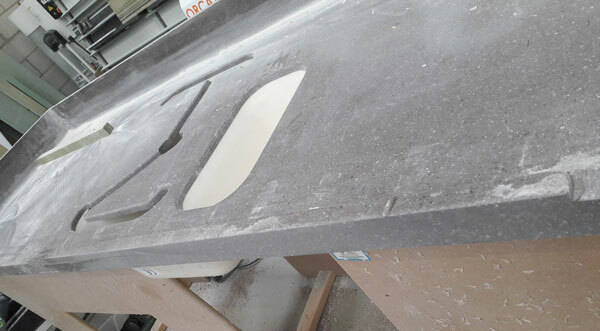 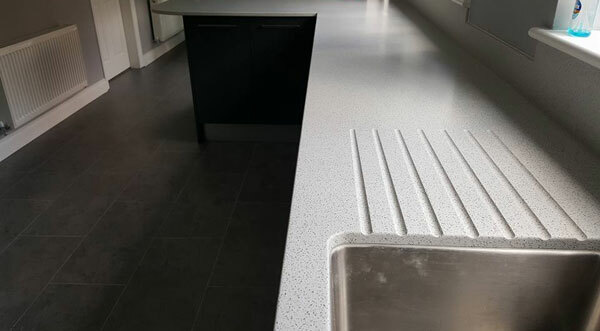 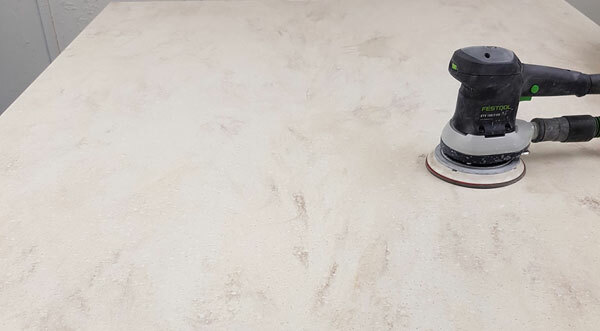 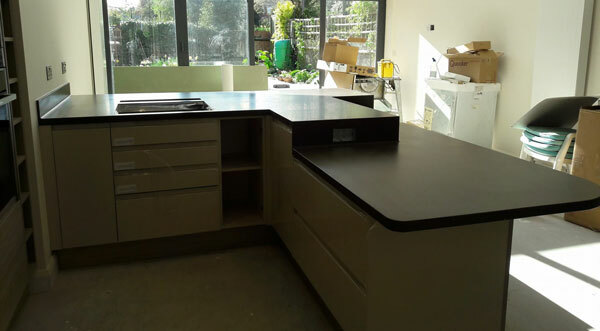 A beautifully moulded kitchen in Hanex® Hades. 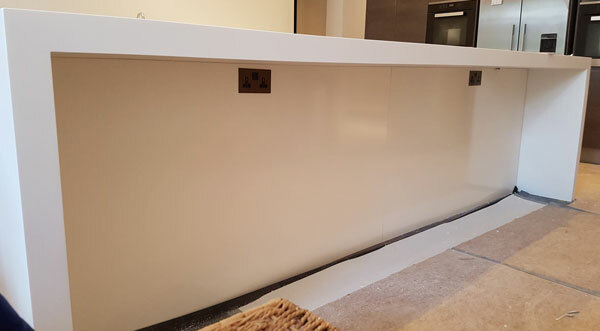 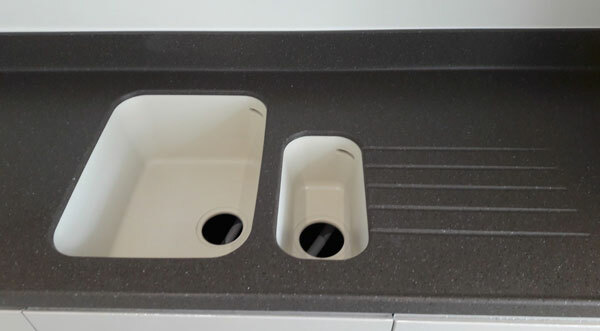 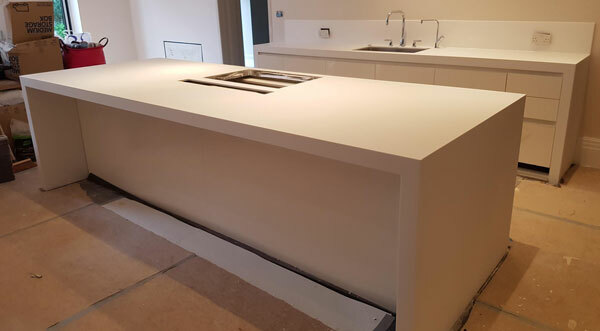 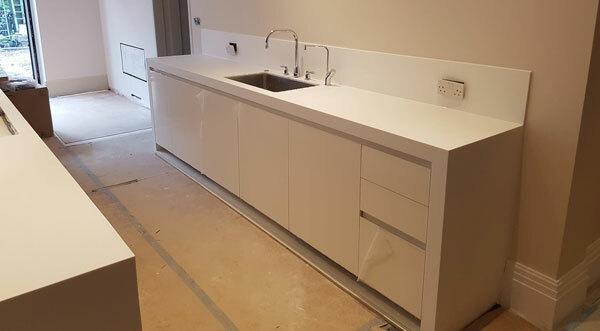 Waterfall edge detail in front of double moulded sinks in Bone with coved upstands around the walls. 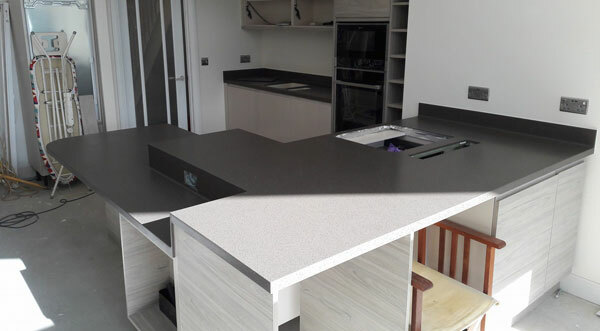 This is matched with a spectaular, split level, L-shaped peninsular with lower level breakfast bar. 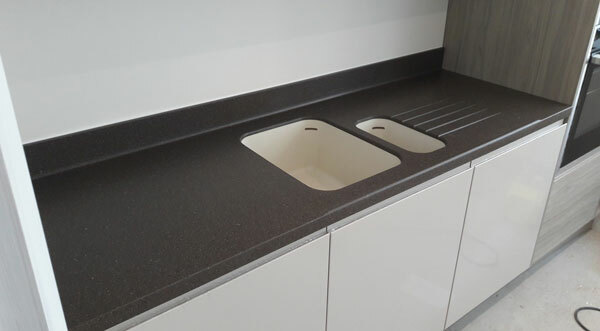 On the higher part of the peninsular there is a hob and down draft extractor and then intergrated sockets as the level drops.